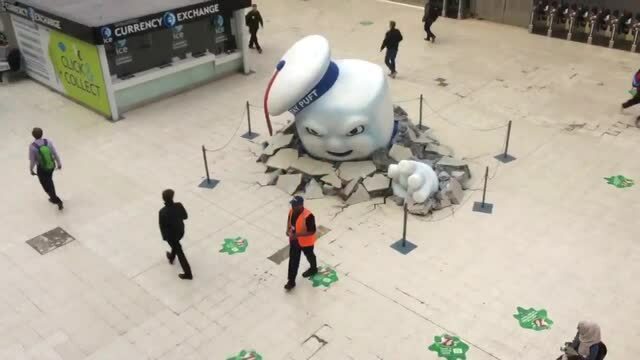 Ghostbusters has invaded London in a big way ahead of the premiere for the new film. 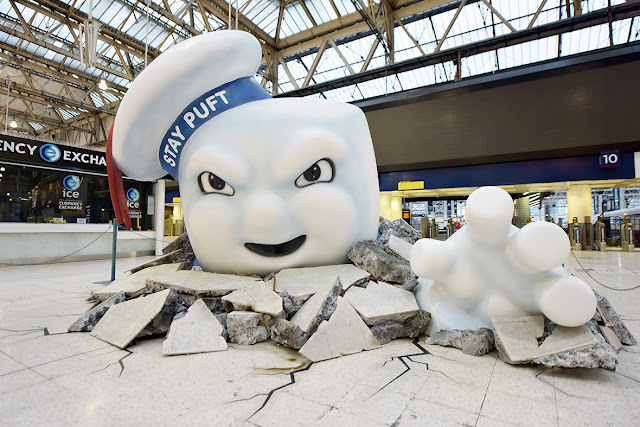 Sony has setup a 9-foot tall Stay Puft Marshmallow Man in the middle of Waterloo Station, London's busiest commuter station for the next two weeks. The innovative display shows Mr. Stay Puft busting through the floor of the station with slime-marked areas begging for selfie pictures. 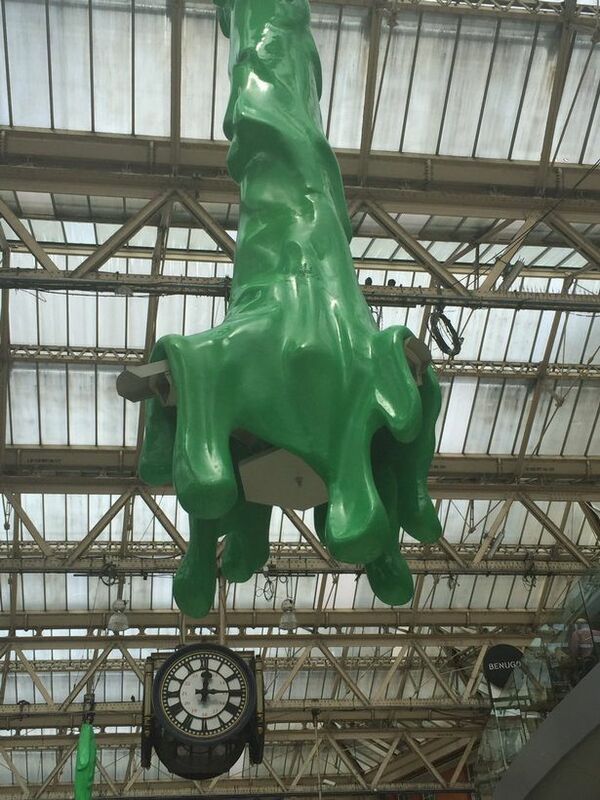 And speaking of slime, the security cameras are also dripping with green ooze to present some atmosphere. Fans clad in the new uniforms have been seen roaming the station as well as a pop-up store shaped like a NY subway entrance selling tickets and merchadise. Watch the video and view the images below to further experience this unique promotion. 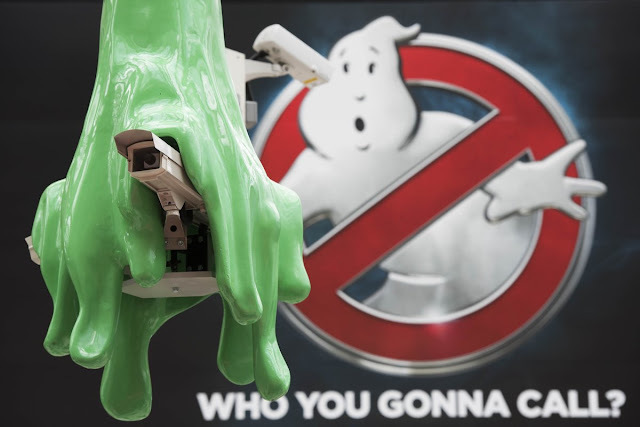 The new Ghostbusters film opens nationwide in the US on July 15.